Peter Zehler and Anna Maria Klasen, our immigrant ancestors, were both born in north central Saarland, Germany in the early 1800's. At the time, the Saar region was governed by the French Empire of Napoleon. After their marriage in 1830, Peter and Anna Maria lived in her home village, the tiny hamlet of Nuhweiler, where they began to raise their family of thirteen children. In 1856, they immigrated to America, accompanied by their nine youngest children. Four older children had preceded them to the States. The Zehler family settled in Bennington, Wyoming County, New York, and became members of the local German-American community centered around St. Cecelia's Roman Catholic Church in Sheldon, New York. For a full account of their lives and their ancestry, click on the links on the left. i. John Zehler John was born on June 16, 18314,5, and he died on May 15, 19096. John married Susan Hahn. ii. Peter Zehler Peter was born on July 31, 18334,5, and he died on August 18, 19122. Peter married Maria Magdalena Differt. iii. Anna Zehler Anna was born on June 3, 18354,5, and she died on March 30, 19152. Anna married Nicholas Kehl. iv. Michael Zehler Michael was born on July 25, 18374,5, and he died on January 22, 19162. Michael married Angeline Kirsch. v. Maria Zehler Maria was born on May 14, 18394,5, and she died on December 27, 19031. Maria married Jacob Greff. vi. Mattias Zehler Known throughout his life as Martin, Mathias was born on February 15, 18414,5, and he died on July 31, 19117. Martin married Maria Veit. vii. John Peter Zehler Known throughout his life as Charles, John Peter was born on December 15, 18424,5, and he died on February 28, 19338. Charles married Maria O. Backe. viii. Nicholas Zehler Nicholas was born on March 24, 18454,5, and he died on September 13, 19089. Nicholas married (1) Matilda DeTemple and (2) Elizabeth Buske. ix. Anna Maria Zehler Anna Maria was born on November 1, 18474,5, and she died on December 12, 192710. Anna Maria married Philip Greff. x. Frederick William Zehler Frederick was born on September 19, 18494,5, and he died on May 16 187711. Frederick married Alice E. Perry. xi. John Zehler John was born on April 17, 18534,5, the twin brother of Jacob. John disappeared in 18868.
xii. Jacob Zehler Jacob was born on April 17, 18534,5, the twin brother of John, and he died on November 15, 191412. He later changed his name to Sailer. Jacob married Magdalena Kreib. xiii. Frank Zehler Frank was born on July 1, 185513, and he died on March 19, 18872. Frank was unmarried. Peter Zehler was born November 29, 18053,14, in the village of Mettnich, the second child of Johann Zoehler and Maria Becker. Located on a bend in the Prims river in north-central Saarland, Mettnich merged with Mühlfeld in 1930 to form Primstal. Peter grew up in Mettich, where he received his education. Since existing documents contain his signature, it seems likely that Peter at least had a rudimentary ability to read and write. Certainly, any formal education was supplemented by work on his parents farm, where he learned the skills he used throughout his married life. The record of Peter's birth5, seen on the right, is interesting in several ways. The document is written in French, including the names. At the time, the Saar was part of France Empire, having been forcibly annexed shortly after the French Revolution. In addition, the dates are reported using the French Republican Calendar; the short lived calendar introduced after the Revolution. 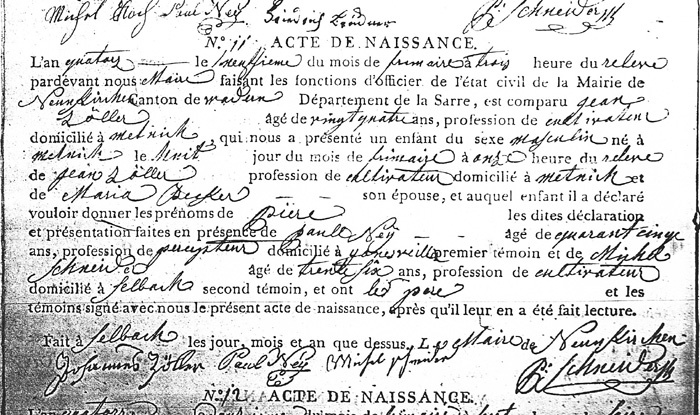 The existence of Peter's birth record reflects the introduction of Civil Registration by the French shortly before 1800. Finally, the record shows that Peter was born at 11 o'clock in the evening of the 8th Frimaire (November 29, 1805), and the birth was recorded on the 9th Frimaire (November 30, 1805). It was the normal practice at that time to record a child's birth within a day of birth. Peter married Anna Maria Klasen on February 11, 18303, at his home church in Mettnich. Anna Maria Klasen was born May 11, 18094, in the small hamlet of Nuhweiler, the second child of Peter Klassen and Anna Maria Hardt. Anna Maria's birth record shows that she was baptized on the day of her birth (nata et renata), another example of the common practice of the time. The available records suggest that Anna Maria's early years were unsettled. When she was born, her family was probably living with the mother and stepfather of Anna Maria Hardt. However, in 1814, at the time of her death, Anna Maria Hardt was living in Lockweiler4. Peter Klasen soon remarried, at which time he lived in Krettnich, his original home town4. Finally, at the time her marriage, Anna Maria was living in Nuhweiler. Based on this evidence, it seems likely that Anna Maria lived many of her early years with her grandmother, particularly after the death of her mother. And, as the only surviving child of Anna Maria Hardt, she was in line to inherit the Hardt family property, where Peter and Anna Maria settled. Peter Zehler and Anna Maria Klasen were married at the Church in Mettnich on May 11, 18303. In addition, they had already had a civil ceremony on February 5, 1830, at the District Office in Otzenhausen48. Then, as today, most European governments required a civil ceremony for the marriage to be legal, a practice started in France after the French Revolution. 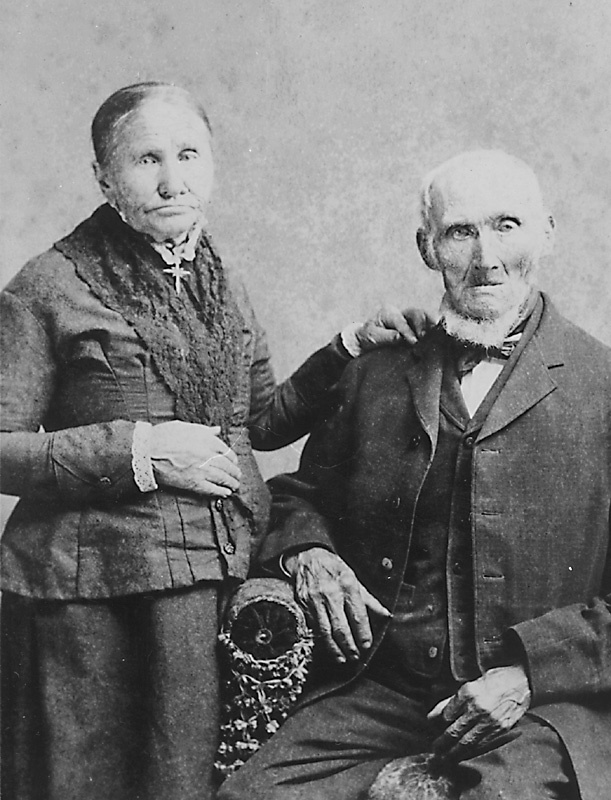 Following their marriage, Peter and Anna Maria settled in the small hamlet of Nuhweiler, where they took up the life of farming on the property of her ancestors. Settling in Nuhweiler was probably their best option, since Peter's father was still alive and actively farming, and other land in Mettnich was likely hard to obtain. 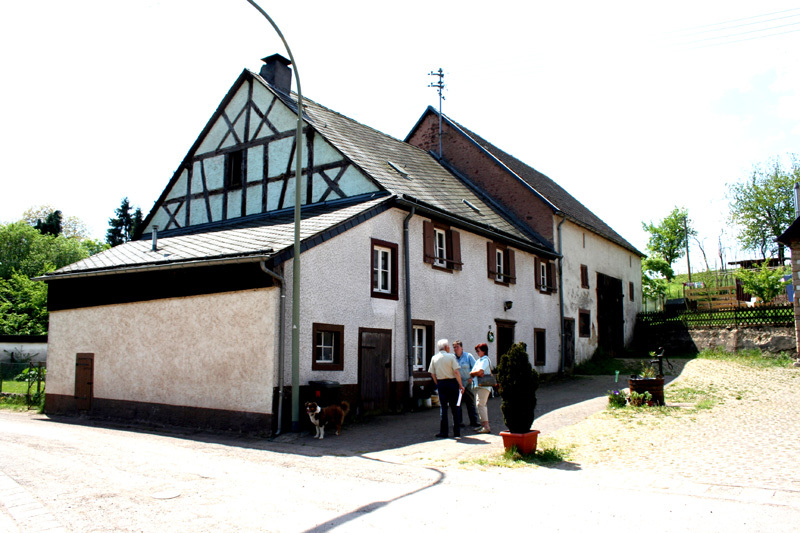 However, since Anna was the only surviving member in her family, they were able to use the farm in Nuhweiler. The farm home, barn and game keeper's cottage, occupied by the Hardt family, were built in the latter half of the 18th century and are still in use by local residents. At the time, as now, Nuhweiler was a tiny village consisting of five or six houses and the population was devoted to a life of farming. Peter and Anna Maria attended church in Lochweiler located about two miles west. It was in this church that the first twelve Zehler children were baptized. Each child was also duly registered with the local authorities in Wadern shortly after birth. Beyond this, we know little about Peter and Anna Maria's life together, prior to coming to America.